Imagine going to class or work everyday, and you rarely see anyone who looks like you or shares your cultural experiences or background. This is a situation many women in computing face; sometimes, they can feel isolated, because they often experience being the only woman in a room full of men. Now imagine walking into a conference filled with people who share many of these same experiences. The CRA-W’s Graduate Cohort Workshop (Grad Cohort) brings together female graduate students in their first three years of graduate school and senior computing researchers to share information on succeeding in graduate school and fostering mentoring relationships. 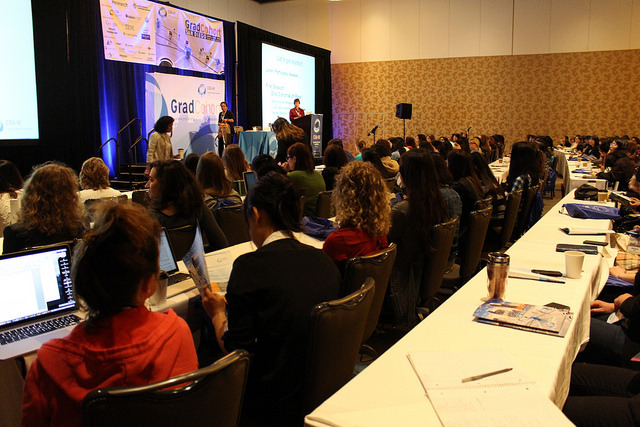 Today, Friday, April 15, CRA-W kicked off the first day of the 2016 Grad Cohort in sunny San Diego, CA, where more than 550 female graduate students are making connections with peers, getting guidance from mentors, and learning graduate school survival skills. So far, the students were welcomed by the workshop Co-chairs, Lori Clarke (University of Massachusetts, Amherst), Sandhya Dwarkadas (University of Rochester), and Ayanna Howard (Georgia Tech). 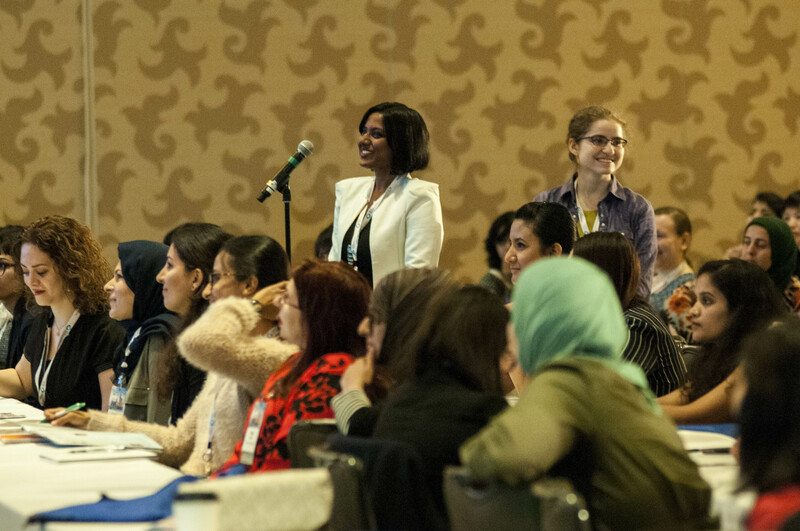 Later, students will hear a keynote presentation from NSF Assistant Director for CISE, Jim Kurose, and learn about the rewards of a career in research. The workshop runs through tomorrow, April 16. Catch a glimpse of the conference action on Flickr, and check out the twitter feed @CRAWomen. 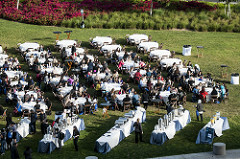 The 2016 CRA-W Grad Cohort Workshop is made possible through generous contributions by Microsoft Research, Association for Computing Machinery, Computing Research Association, The U.S. Department of Energy – Office of Science, National Science Foundation, Google, IBM, Intel, a private foundation, Two Sigma, Yahoo, AAAI, Amazon, ACM SIGACT, ACM SIGARCH, ACM SIGCHI, ACM SIGCOMM, ACM SIGGRAPH, ACM SIGIR, ACM SIGMICRO, ACM SIGOPS, ACM SIGPLAN, ACM SIGSOFT, D. E. Shaw Research, a private contributor, and in some cases, department funds from participating universities and institutions.